If you know the 1990 film, the story of the new Flatliners should not be a huge shock. Five medical students start an “experiment” where they stop each other’s hearts and then restart them, allowing them to see what happens when they die. Then things go wrong. This version stars Ellen Page as Courtney, the ring leader who starts all of this off and who also, this trailer reveals, has a dark secret that drove her to this. Courtney ropes Ray (Diego Luna), Marlo (Nina Dobrev), Jamie (James Norton), and Sophia (Kiersey Clemons) into the experiment, with the competitive students each seeking to be the person who remains dead the longest. The afterlife seems a lot more proactive in this version than it was in the 1990 one. Death does not like being played with, apparently. 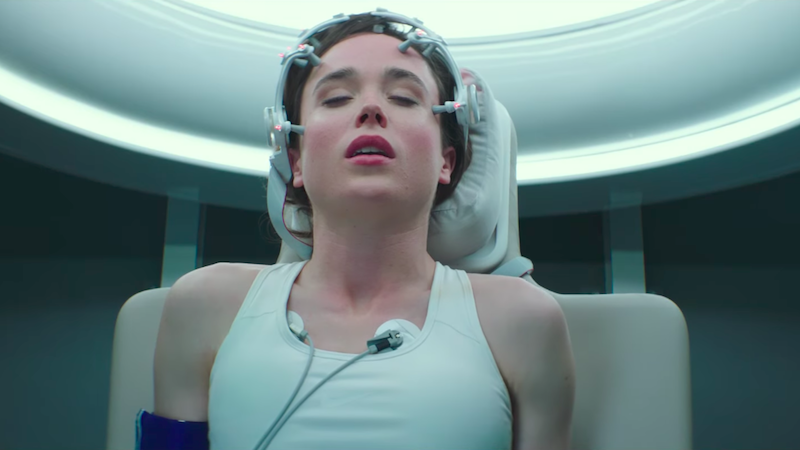 Flatliners is out September 29.